The film believes imperialism is bad but can't quite bring itself to reach the logical conclusion, which is that its heroes aren't heroes—and that its good guys need to be overthrown. Superheroes are imperialists: mostly white, mostly American costumed adventurers with great powers and advanced technology who swoop around the globe, casually blowing things up in the name of righteousness. Iron Man gallivants about Afghanistan, killing whoever he decides are the bad guys and rescuing folks he figures might deserve it. 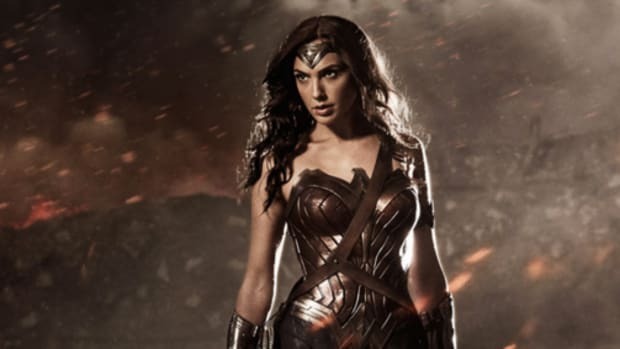 Wonder Woman fights in World War I to prevent Germany from encroaching on Britain&apos;s worldwide imperial dominance. Superpowers bestride the world and always will. Our job is to watch the carnage and cheer. Thor: Ragnarok seems like an exception to the pro-imperial superhero default, at least initially. The film sets out to debunk the righteousness of the imperial center of Asgard, showing that its power is based in Odin&apos;s campaigns of conquest and bloodshed. 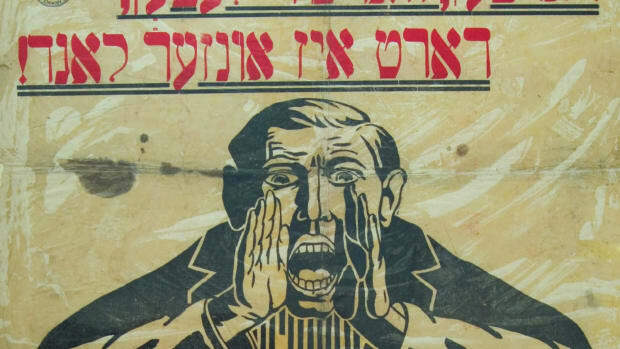 The anti-imperial critique is forthright, telling—and ultimately squandered. The film believes imperialism is bad, but can&apos;t quite bring itself to reach the logical conclusion, which is that its heroes aren&apos;t heroes, and that its good guys need to be overthrown. The inability to follow through shows just how deeply imperialism is embedded in the superhero genre. If Thor: Ragnarok had followed through on its bleaker insights, it would cease to be a superhero film, and become something sadder, less heroic, and considerably less profitable. In the previous installments of the Thor films, Asgard is presented as a kind of heaven, ruled over by a wise, benevolent monarch, Odin (Anthony Hopkins). In Thor: Ragnarok, though, we learn that Odin&apos;s benevolence is a lie. Asgard&apos;s glory and power were secured in the way that glory and power are usually secured—by war and bloodshed. Odin conquered the nine realms through apocalyptic violence with the help of his first-born daughter Hela (Cate Blanchett), the goddess of death. Hela&apos;s official title was executioner, and she slaughtered all who opposed Odin&apos;s power. Odin&apos;s son Thor (Chris Hemsworth) wasn&apos;t aware of any of this because Odin covered it up: He banished and imprisoned Hela and didn&apos;t even tell Thor he had a sister. When Odin dies, Hela returns determined to conquer and rule Asgard. There&apos;s even a scene in which the bones of the ancient imperial warriors of Asgard return to life, the buried zombie sins of colonialism come back to destroy the civilization built on their corpses. Earlier superhero films in the Marvel Cinematic Universe offered limited critiques of overseas intervention. 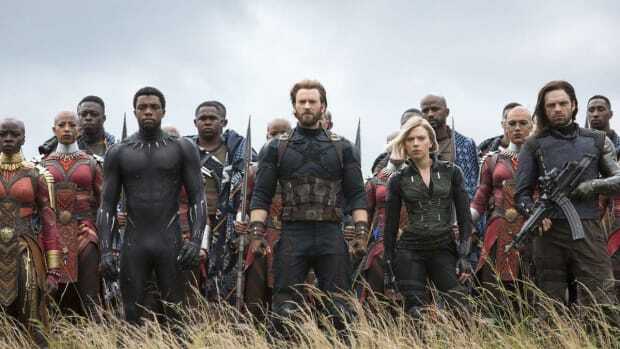 In Captain America: Civil War, for example, the Avengers screw up while fighting terrorists in the Middle East and end up killing a number of bystanders. This is an accident, just as it&apos;s an accident (supposedly) when American drone strikes kill civilians in Afghanistan or Pakistan. Captain America, like America itself, is pure of heart; it&apos;s just that both are human and imperfect. Fighting evil is dangerous, and sometimes mistakes are made. Similarly, in the first Iron Man film, Tony Stark (Robert Downey Jr.) discovers that his villainous deputy has hijacked his arms company and has been selling weapons to the wrong side in Afghanistan without his knowledge. The problem here is not the American war machine, but bad actors hijacking the American war machine. Superpowers mucking about overseas don&apos;t need to stop mucking about overseas; they just need to muck about overseas more efficaciously, so their good intentions aren&apos;t derailed. Thor: Ragnarok presents a less rosy picture. Odin didn&apos;t make mistakes; he wasn&apos;t betrayed by a corrupt adviser. He conquered other lands and slaughtered their inhabitants because he wanted to conquer other lands and slaughter their inhabitants. Odin didn&apos;t send troops across the universe to help people in distant realms; he sent troops to conquer and steal stuff in order to make himself wealthier and more powerful. Imperialists often claim that they&apos;re taking up the White Man&apos;s Burden and saving the people they conquer. But that&apos;s hypocrisy. Odin isn&apos;t a white-savior superhero who helps the downtrodden. 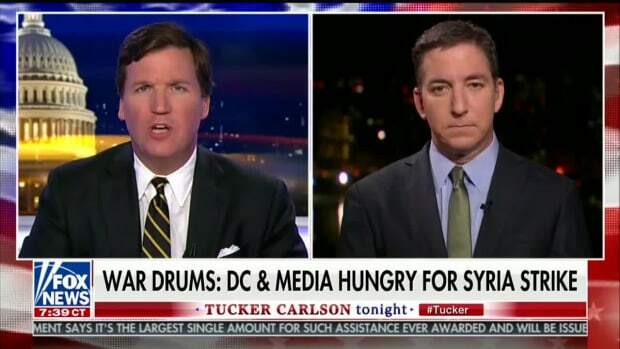 He&apos;s a power-mad supervillain helping himself. If you believe what the movie is telling you, then the superhero genre is a lie. That insight, you&apos;d think, would catastrophically undermine Thor&apos;s claims to heroism. In the first scene of the film, Thor fights the fire giant Surtur, who was first defeated by Odin millennia ago. Surtur is supposed to be a bad guy, exiled to a hell dimension. But if Odin is an imperialist monster, why is his defeat of Surtur a good thing? Thor steals Surtur&apos;s dangerous horns to take back as a trophy, a George W. Bush-like preemptive strike as a prophylactic against future apocalypse. But should we really take Thor&apos;s goodness here at face value? If we take the film&apos;s revelations about Odin seriously, then what right does the Son of Odin have to go back to his father&apos;s old victims and subject them to additional humiliation in the name of security? Thor: Ragnarok does flirt with a Surtur-eye view of the multiverse at times. But in the end, it never really takes it seriously. Yes, Odin was bad in the past. But the film insists that he eventually changed his ways. For some reason, at some point, Odin suddenly decided he didn&apos;t want to conquer anymore and became a benevolent ruler. He exiled Hela, who wanted to keep subjugating new realms. There was no internal revolution to overthrow Odin, and no successful revolt by the peoples he&apos;d conquered. The tyrant simply stopped being a tyrant. It&apos;s as if World War II had ended with Adolf Hitler calling back his armies, turning over a new leaf, and working earnestly for the well-being of all his subjects. Or as if the United States, after generations of imperial genocide of native peoples at home and armed coercion abroad, suddenly became a beacon of universal pacifism. The film never really questions Odin&apos;s latter-day morality, nor the belated virtuousness of Asgard. Instead, it mostly avoids the issue, sending Thor off on a diversion to the prison planet of Sakaar for a good chunk of the movie&apos;s runtime. On Sakaar, Thor is forced into slavery as a gladiator. The experience of injustice might have been an opportunity for him to sympathize with—or think about—his father&apos;s victims. But the film doesn&apos;t dwell on it. Instead, Thor inevitably frees himself, and then his fellow enslaved gladiators unaccountably use their newfound freedom to rush to Asgard&apos;s defense against Hela. None of the Asgardian characters even seems to wonder why the freedmen&apos;s first impulse would be to take up arms on behalf of the imperial center. For that matter, the only victims of imperialism we see are the Asgardians themselves, once Hela turns on them. It may be true that imperialism will always harm the imperialists spiritually and sometimes materially. But the refusal to imagine the pain of the conquered is itself one way in which imperialism inevitably justifies itself. Asgardians suffer nobly, whether for past sins or because of Hela&apos;s evil, but Odin&apos;s victims are as invisible onscreen as are the Vietnamese in American Vietnam War films. In superhero movies, it&apos;s taken for granted that those with great power will act with great responsibility. Moreover, in these movies, huge disproportions of power will benefit the weakest and most vulnerable because the strongest and most powerful are always on the lookout to help. Thor: Ragnarok queasily suggests that these basic tenets of superhero films are a lie. In Asgard, the strongest have built their strength on exploitation. The wise and good are "wise and good" because they killed everyone who said they weren&apos;t. Heroes are more likely to butcher you than to save you. If you believe what Thor: Ragnarok is telling you, then the superhero genre is a lie. Which is no doubt why the film, with great good cheer, insists on not listening to itself. Thor is mildly disturbed by the truth about Asgard&apos;s history—and then the adventure rolls on. Thor takes up his father&apos;s throne without agonizing or recriminations. The good guys fight the bad guys, innocents are saved, heroes are heroic. Asgard has fallen, and yet Asgard still stands. 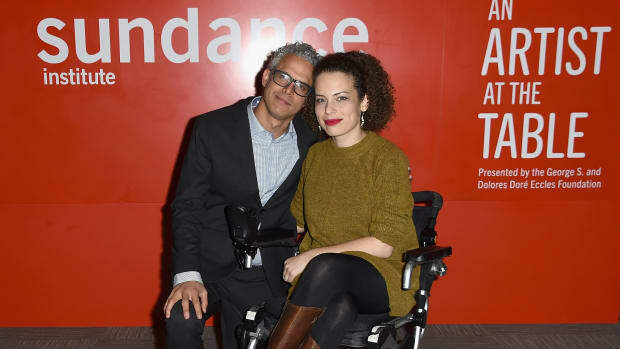 In her new film Unrest, Jennifer Brea offers a groundbreaking look at the power of community where medicine falls short. 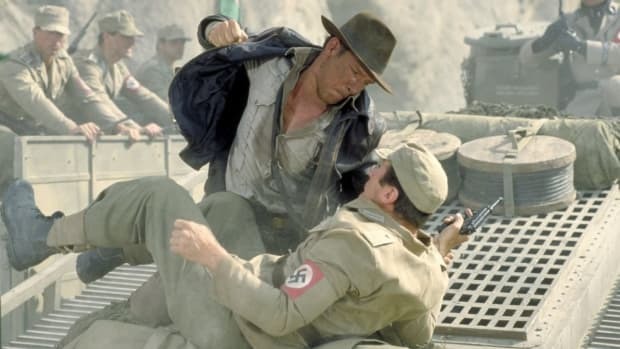 Far from helping us fight fascism, Nazis on film may do the opposite.